The newest member in the Manny O. 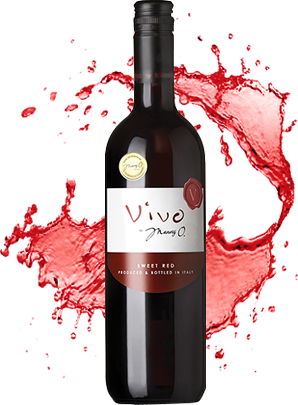 Wines line, Vivo is a medium sweet red from Puglia, the region located in southern Italy. The most affordable wine in the series, this was created for bonding with friends and big fiestas. So versatile, it can be paired with any type of food. Intense red color with violet reflections. Intriguing and strong aroma, reminiscent of red fruits with particular notes of strawberry and berries. Taste is pleasantly well-rounded with a sweetness making it full and flirty.